Xiaomi has had lots of opportunities to create phones with the Snapdragon 625. This is their fourth phone so far with the same chipset and many of us were hoping for a chipset upgrade to the Snapdragon 660 or even the small step up to the Snapdragon 630. The Mi 5X doesn’t seem to offer anything the other Xiaomi devices offer except for a dual camera setup, and we’ll see whether that alone is enough of a differentiating factor. The Mi 5X doesn’t seem to offer anything the other Xiaomi devices offer except for a dual camera setup, and we’ll see whether that alone is enough of a differentiating factor. 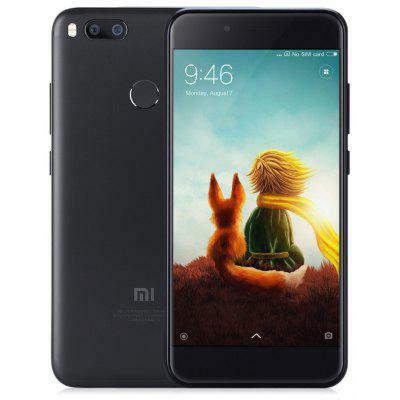 With the release of the battery sipping Snapdragon 625, Xiaomi has seen fit to pack in a smaller battery to keep the girth of the Mi5X to a respectable 7.3mm. The slim profile of the Mi5X and its generous curves make this 5.5” phone very easy to hold, very close to winning me over from a 5” device. This device shares the same aesthetics as what you would find on the Oneplus 5 and it looks fine, from the back at least. On the front, we see regular sized bezels unfortunately and a black bar running around the entire screen that is mostly invisible on the black model as it blends in. The camera module on the back sticks out very slightly but it does have a metal lip guarding the glass. Xiaomi has introduced a very colourful LCD display into the Mi5x which definitely looks good. Colours are deep and saturated while still being fairly accurate and the resolution definitely helps. The maximum brightness makes the screen easily viewable even in direct sunlight which is something some other devices have trouble with. I do have two complaints, first the white version of this phone has a visible black bar that is admittedly shrunk from previous Xiaomi versions, but it’s still visible. The second complaint is the lack of Gorilla Glass which is a big omission in my opinion. The single audio speaker punches above its weight class, but compare it to dual speaker heavyweights and it doesn’t do as well. It’s very loud, no issues with volume, and speaker quality is not bad, it outputs some bass and rather clear mids and highs. It falls far behind dual speakers as mentioned before. Although I’m disappointed with the reduction in battery capacity, the 3000mAh battery combined with the Snapdragon 625 still outputs above Redmi 3 levels of battery life. I was able to easily get over 6 hours of screen on time with 20% left, consisting mostly of YouTube streaming, a lot of taking photos and reading news. Charging the phone with a QuickCharge power brick takes around about an hour and a half to charge. This will satisfy heavy users, but those who are Redmi Note 4 enthusiasts like me will not. Charging the phone with a QuickCharge power brick takes around about an hour and a half to charge. This will satisfy heavy users, but those who are Redmi Note 4 enthusiasts like me will not. With a Snapdragon 625 processor pushing Android 7.0 Nougat, I know exactly what to expect from the performance here, and surprise surprise, it’s the exact same as the Xiaomi Mi Max 2. Navigating MIUI9 is quite smooth, Xiaomi has done a good job continually improving their skin, but launching apps is where you start to see the Snapdragon 625 bottleneck the process. Compared to my time with the OnePlus 5, the Mi5X feels slow in comparison, with a delay of anywhere between half a second to a full second between tapping the screen and the app fully launching. 4GB of RAM keeps multitasking very easy even on the heavy MIUI9 skin. Gaming performance is good, all the most intense games playing at good framerates, some of them I had to bump down settings, but they ran well after that. The last thing I want to mention is the fingerprint sensor and its again one of the fastest sensors I’ve used, slightly slower than the Oneplus 5 but not by much. Accuracy though is less accurate than what I’m used to and less accurate than the Mi Max 2 also. The last thing I want to mention is the fingerprint sensor and its again one of the fastest sensors I’ve used, slightly slower than the Oneplus 5 but not by much. Accuracy though is less accurate than what I’m used to and less accurate than the Mi Max 2 also. Connectivity here is good, I am able to get LTE speeds on this phone and reception is excellent also. I got great speeds that also ate up my data at a horrifying rate. WiFi reception is excellent, giving me great speeds even outside my house from my wireless AC router. Bluetooth works fine, GPS gets locks quickly also. I hesitate to say that the dual camera setup here is a marketing gimmick, as the Bokeh mode actually works quite well. As long as your subject doesn’t move, the camera adds Bokeh to the background in a nice, natural way. However, a moving subject will blur the photo completely. Exiting Bokeh mode and into normal mode, the camera takes some great macro shots, colour and detail being very well balanced and pleasing to the eye. Non-macro shots show off less detail and less colour saturation but are still not bad. Again, this camera is not good at taking photos of moving subjects. Video quality is nothing to write home about either, it shoots in 4K, but the stock camera app will switch the recording resolution back to 1080p whenever you exit the camera app, forcing you to change to 4K whenever you want to shoot some video. The resulting 4K footage captures quite a lot of detail and colour reproduction is also good, however, there is a lot of artifacting in the video especially when you move the phone. There is one more caveat to the video, and there are autofocusing issues, the autofocus tries hunting every 10 seconds or so if you move your camera, the only way to avoid excessive hunting is to keep the camera still. In addition, the camera will occasionally focus on an excessively bright or excessively dark area and will overcompensate accordingly, resulting in blown out video.